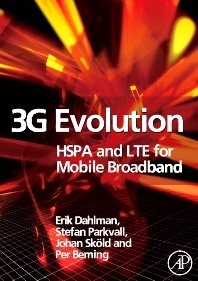 This very up-to-date and practical book, written by engineers working closely in 3GPP, gives insight into the newest technologies and standards adopted by 3GPP, with detailed explanations of the specific solutions chosen and their implementation in HSPA and LTE. The key technologies presented include multi-carrier transmission, advanced single-carrier transmission, advanced receivers, OFDM, MIMO and adaptive antenna solutions, advanced radio resource management and protocols, and different radio network architectures. Their role and use in the context of mobile broadband access in general is explained. Both a high-level overview and more detailed step-by-step explanations of HSPA and LTE implementation are given. An overview of other related systems such as TD SCDMA, CDMA2000, and WIMAX is also provided. This is a ‘must-have’ resource for engineers and other professionals working with cellular or wireless broadband technologies who need to know how to utilize the new technology to stay ahead of the competition. The authors of the book all work at Ericsson Research and are deeply involved in 3G development and standardisation since the early days of 3G research. They are leading experts in the field and are today still actively contributing to the standardisation of both HSPA and LTE within 3GPP. Mobile and wireless communications engineers working for the equipment suppliers and network operators, network managers, academic researchers. Erik Dahlman works at Ericsson Research and are deeply involved in 4G and 5G development and standardization since the early days of 3G research. Stefan Parkvall works at Ericsson Research and are deeply involved in 4G and 5G development and standardization since the early days of 3G research. Johan Skold works at Ericsson Research and are deeply involved in 4G and 5G development and standardization since the early days of 3G research.